Shop till you drop at Kensington Market and Spadina Avenue and Abbozzo Gallery. Let the collections at Royal Ontario Museum and Casa Loma capture your imagination. Take a break from Toronto with a short trip to McMichael Canadian Art Collection in Kleinburg, about 34 minutes away. And it doesn't end there: examine the collection at Hockey Hall of Fame, take in panoramic vistas at CN Tower, take in the exciting artwork at University of Toronto Art Centre, and shop like a local with Canvas Gallery. For maps, reviews, where to stay, and tourist information, read our Toronto trip itinerary builder app . Sao Paulo, Brazil to Toronto is an approximately 13.5-hour flight. You can also do a combination of bus and flight. The time zone difference moving from Brasilia Time (BRT) to Eastern Standard Time (EST) is minus 2 hours. Expect colder temperatures when traveling from Sao Paulo in March; daily highs in Toronto reach 3°C and lows reach -3°C. Cap off your sightseeing on the 16th (Sat) early enough to travel to Montreal. 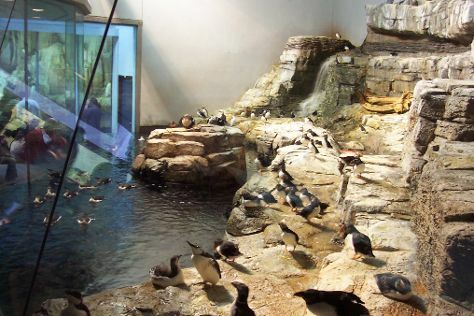 Biodome de Montreal and The Montreal Museum of Fine Arts (Musee des Beaux-Arts) will appeal to museum buffs. Head to Jean-Talon Market and Galerie d'art Blanchefor plenty of shopping. There's still lots to do: make a trip to Notre-Dame Basilica, see the interesting displays at Barbie Expo, get a taste of the local shopping with Le Balcon d'Art, and get engrossed in the history at Pointe-a-Calliere Museum. To see ratings, traveler tips, where to stay, and more tourist information, read our Montreal trip planner . You can fly from Toronto to Montreal in 3.5 hours. Other options are to do a combination of bus and flight; or drive. In March, Montreal is a bit cooler than Toronto - with highs of 0°C and lows of -7°C. Cap off your sightseeing on the 19th (Tue) early enough to go by car to Quebec City. Kick off your visit on the 20th (Wed): appreciate the extensive heritage of Old Quebec and then explore the world behind art at Musee national des beaux-arts du Quebec (MNBAQ). 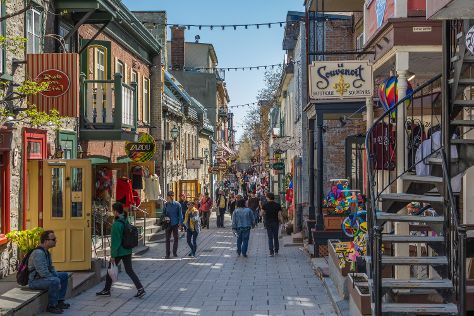 Here are some ideas for day two: stop by Quartier Petit Champlain, get a taste of the local shopping with Sculpteur Flamand, and then brush up on your military savvy at La Citadelle de Quebec. Inspirock's itinerary builder makes planning a Quebec City trip simple and quick. Getting from Montreal to Quebec City by car takes about 3 hours. Other options: take a bus; or take a train. Expect a daytime high around 1°C in March, and nighttime lows around -4°C. Finish up your sightseeing early on the 21st (Thu) so you can travel to New York City. Your cultural itinerary includes sights like Fifth Avenue and The Metropolitan Museum of Art. 9/11 Memorial and American Museum of Natural History will appeal to museum buffs. There's still lots to do: go for a walk through Central Park, admire the striking features of New York City Hall, see the interesting displays at New York Public Library, and admire the masterpieces at The Museum of Modern Art (MoMA). To find where to stay, other places to visit, maps, and more tourist information, go to the New York City trip maker site . Traveling by combination of flight and bus from Quebec City to New York City takes 6.5 hours. Alternatively, you can do a combination of train and flight; or drive. Prepare for a bit warmer weather when traveling from Quebec City in March: high temperatures in New York City hover around 11°C and lows are around 1°C. Wrap up your sightseeing by early afternoon on the 26th (Tue) to allow time for travel back home.